Osprey?? ?s Meridian 60L/22" is a traveling chameleon. 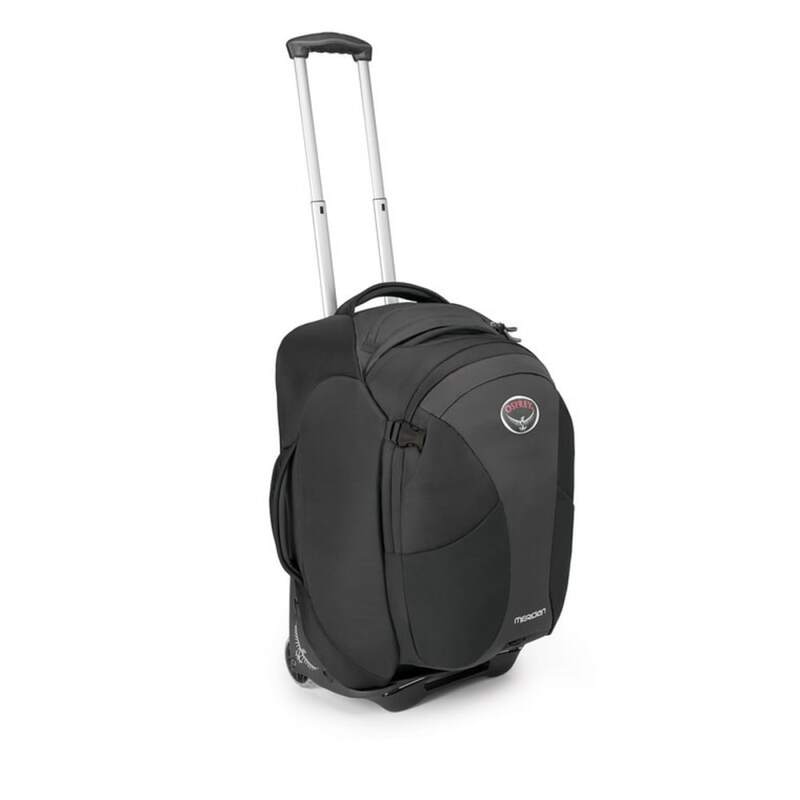 This wheeled duffel bag is sized to fit perfectly in the overhead compartment and rolls effortlessly through the urban landscape on the rugged HighRoad??? chassis. But when you reach the end of the civilization, unzip the rear panel to reveal technical backpack suspension. A mesh backpanel provides outstanding ventilation. The suspension system is highly adjustable to fit a wide range of torso sizes and can be removed entirely to add more packing capacity when you need extra volume. Inside the main compartment, you?? ?ll find four zippered side pockets to keep your gear organized. Internal compression straps hold everything in place during transit. Outside the bag, dual external compression straps add stability and padded top and side handles provide purchase when you?? ?re lifting the bag into the back of the bus. There?? ?s a zippered top pocket for easy access to small items and a rear panel pocket designed to accept a magazine or tablet. When you reach your destination, unclip the Meridian daypack from the front of the duffel bag and head out for adventure. Carry-on size. Adjustable for torso lengths from 16 in. ??? 22 in. Dimensions: 22H X 14W X 9D IN.